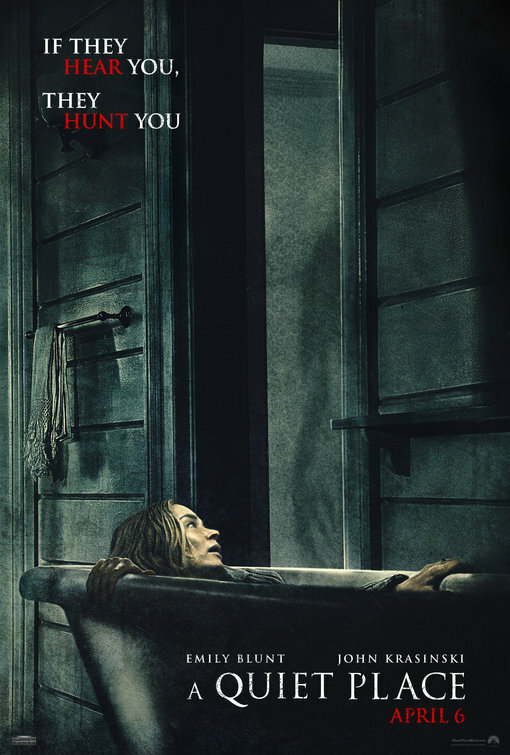 In last year's sci-fi horror hit, real-life husband and wife John Krasinski and Emily Blunt play the on-screen parents ('Lee' and 'Evelyn Abbott') who must protect their family, even whilst pregnant, from monsters that have overtaken the planet and kill anyone when they are attracted to the noise they make. 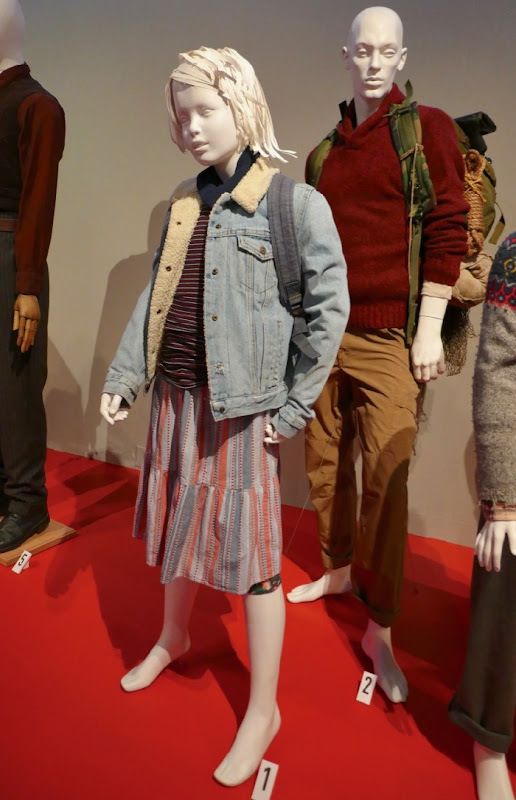 They are forced to live in silence to survive with their two kids, 'Marcus' (Noah Jupe) and their deaf daughter 'Regan' (Millicent Simmonds), who may unknowingly hold the key to defeating these malevolent creatures. 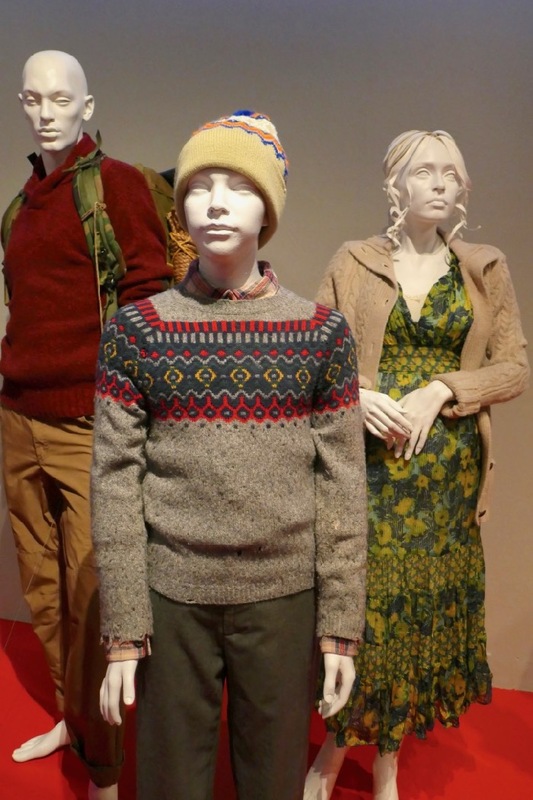 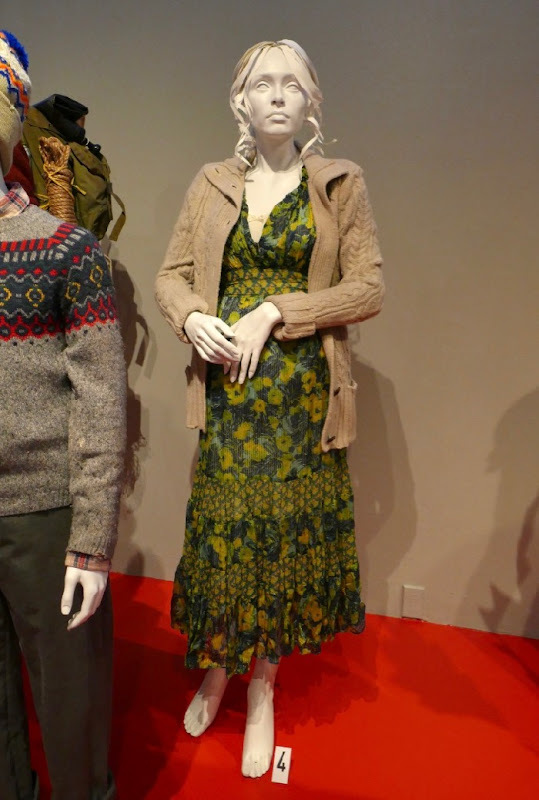 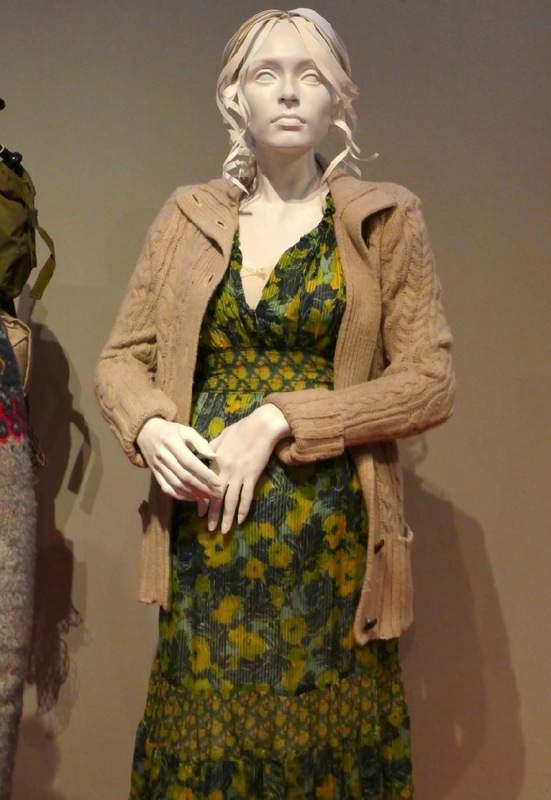 These movie costumes from the movie directed by John Krasinski were photographed on display at Downtown L.A.'s FIDM Museum on February 5, 2019 and were designed by Kasia Walicka-Maimone. 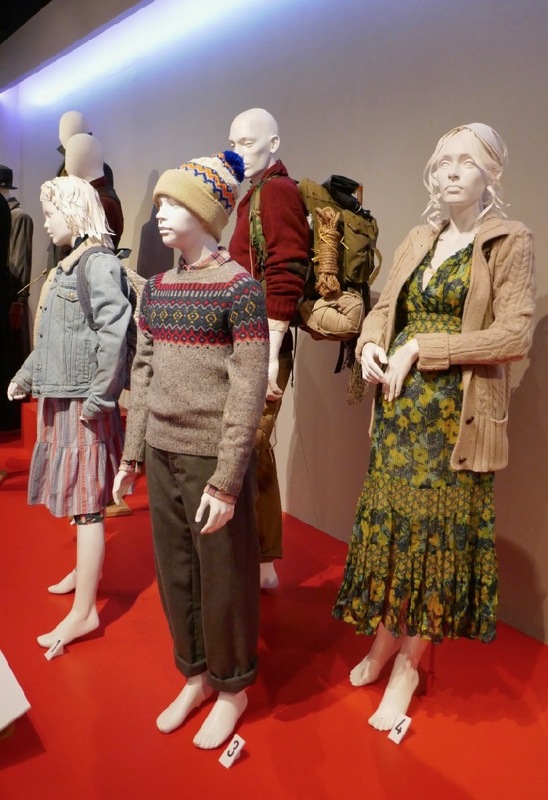 As you can see no shoes were worn in the movie as the characters walk around bare foot to minimise sound. 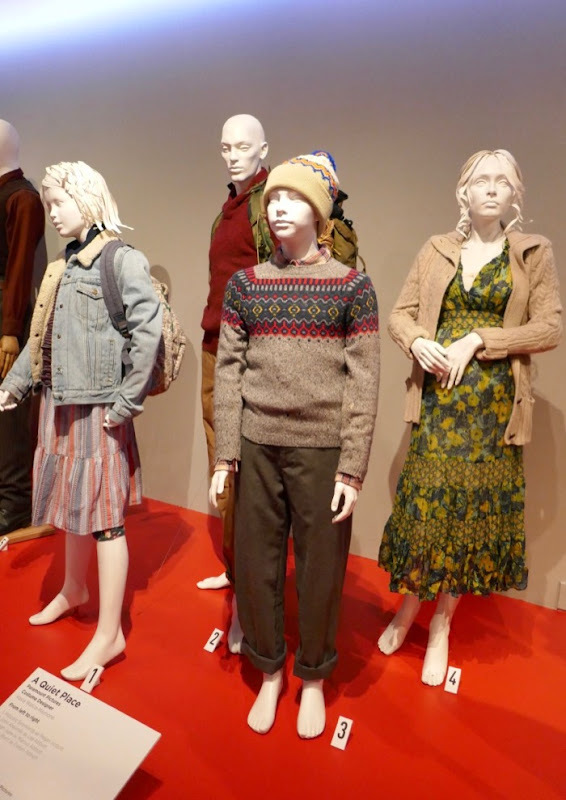 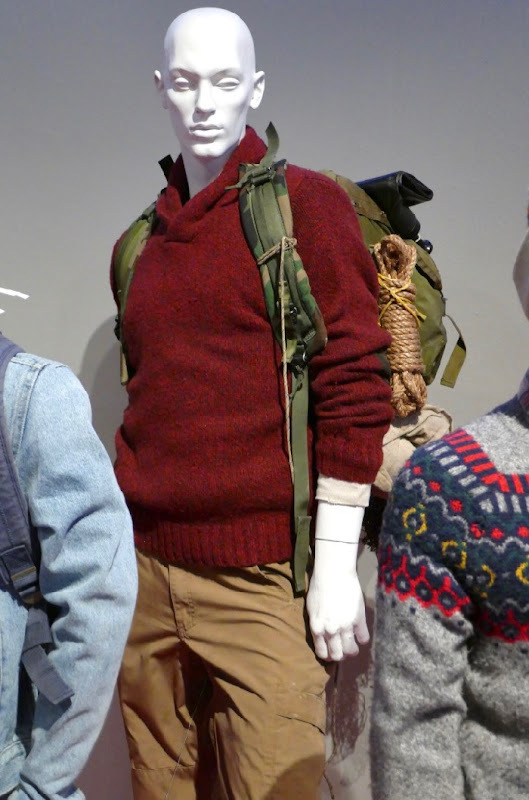 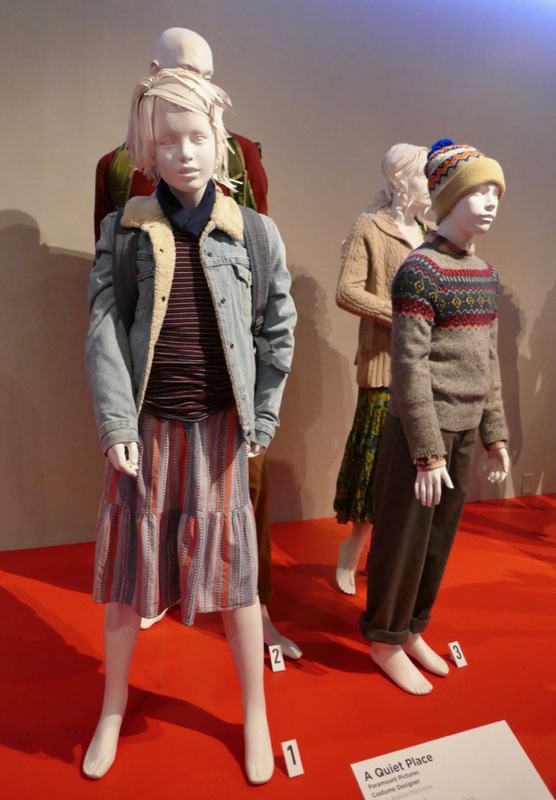 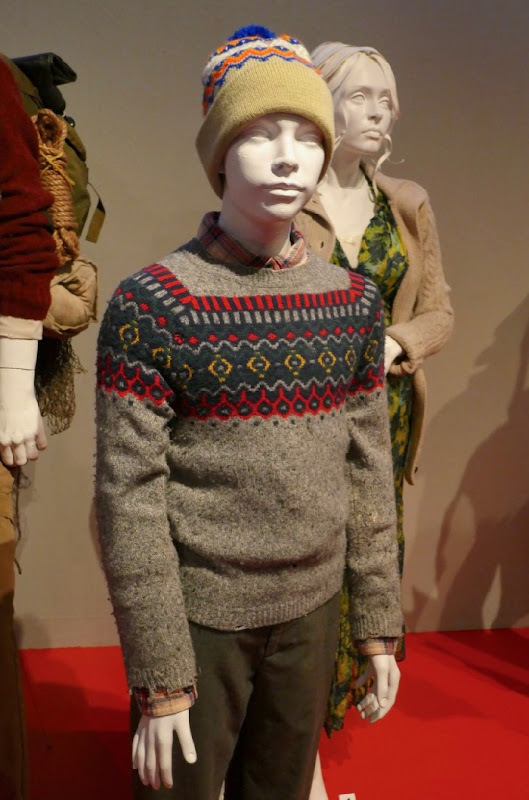 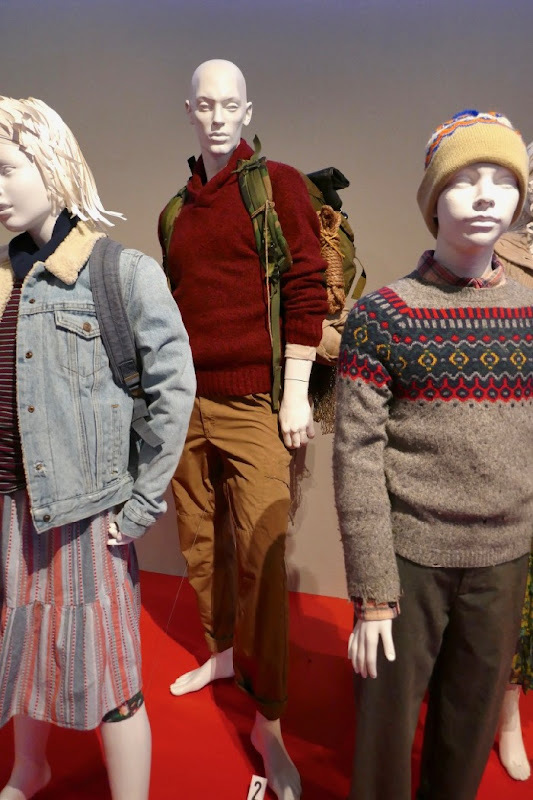 You can see even more of the Costume Designer's work with these Ready Player One film costumes, these Bridge of Spies movie costumes and these Moonrise Kingdom movie costumes on display. 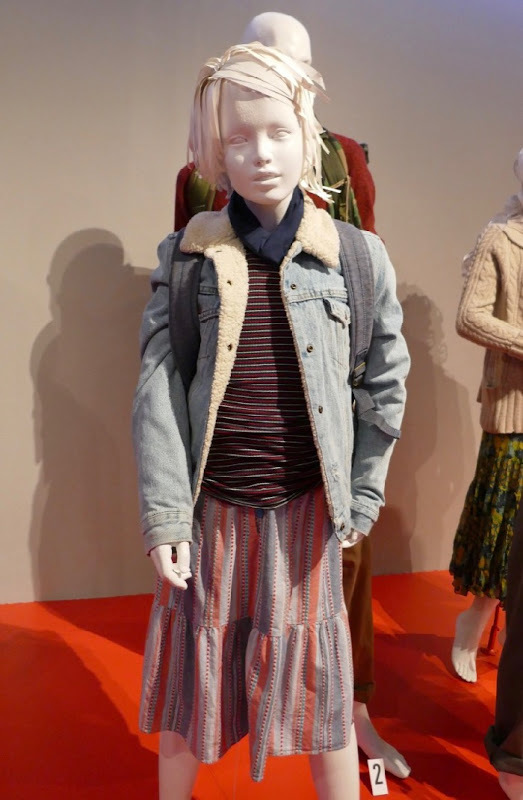 Meanwhile Emily Blunt admirers can also enjoy her Mary Poppins Returns movie costumes and her movie costume from Into the Woods, whilst John Krasinski fans can take a look at his film costume from Promised Land and his Away We Go movie costume on display.